Quality is the number one focus throughout the Stentor organisation. Internally this is promoted under Q3, which stands for Quality3: Quality of the people and the Quality of the processes will result in Quality products. First of all Stentor invests significantly in training and education of its personnel. A well trained and qualified workforce is the primary requirement to operate a quality organisation. Training is available to all levels and functions within the organisation and in many cases even mandatory. Certification by well-known and independent organisations validate Stentor’s workforce to be qualified and up to date. The Stentor procedures are documented in a Bureau Veritas certified Quality Management System in accordance with ISO9001:2008. Regular internal audits and updates certify that the system is kept up to date and incorporates the continuous improvement efforts. Stentor operates a Bureau Veritas certified Quality Management System in accordance with ISO9001:2008. Regular internal and external audits make sure the system is alive and up to date. All disciplines within the Stentor organisation contribute to new insights and after review and approval new entries or updates are released. 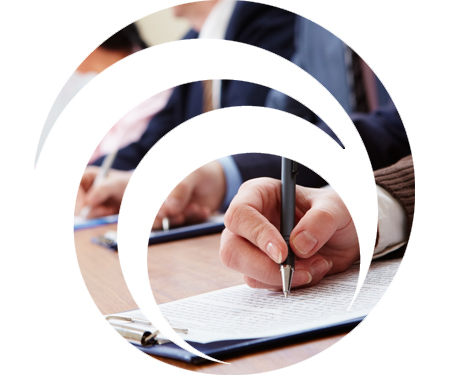 Key issue for any procedure within the Stentor organisation is that it should be easily understood for all involved departments and personnel and that it is a clear representation of the most common and normal practices. Since 2012 Stentor has implemented a Quality control system for the most critical process: welding. These activities are controlled in accordance with ISO3834-2:2005 and validated by DNV-GL. Regular training, tests and independent audits by authorized bodies and customers guarantee the competence and supported by two IWE the welding team takes on all challenges in Stainless and mild steels. Following the inauguration of the Curcani Facility in November 2014 Stentor has decided to take the next step in the development of the company and the target to raise the performance in all aspects of the business. Environmental issues have part of the decision making process for many years, but with the new investments a big step forward was made. The environmental quality management system in accordance with ISO14001:2005 has been validated in 2015. Based on its portfolio and requirements from its customers Stentor has several Factory and Type Approvals from well-known Class Societies. The flexibility in design and customer orientation promoted by Stentor as well as many of its customers is limiting the applicability of type approvals, however frequent contact with Class Societies guarantees short approval times for most designs. For each project a Stentor Quality Plan (SQP) is created. The SQP comprises a number of documents that not only describe the many steps towards a quality product, but also indicates hold and witness points, quality requirements, tests and measurements. At the finalisation of a project the SQP, together with its many annexes, documents all key data of the product. Depending on the complexity of the product, the requirements of the customer and/or Class Society and the practical experience of Stentor the applicable documents are created, reviewed and approved by the Technical and Quality Management. Upon request the customer can contribute to the SQP in various degrees. A combination of the SQP and a customer specific quality document is not uncommon and Stentor entirely support these combinations. The product quality is constantly being monitored from the initial design and material sourcing throughout the complete production flow. Various quality gates as well as spot checks are securing the quality and are validated by senior and quality management. All processes are constructed, validated and documented based on ISO9001: 2008 and the Stentor Quality Plan which have been the Stentor Quality Management System of choice for many years.